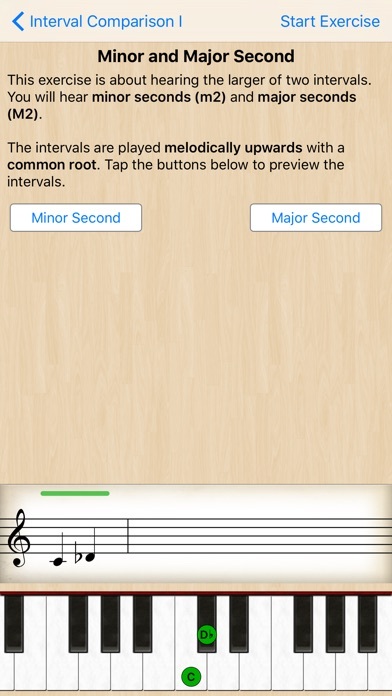 Easy to use, this app helps interval recognition. 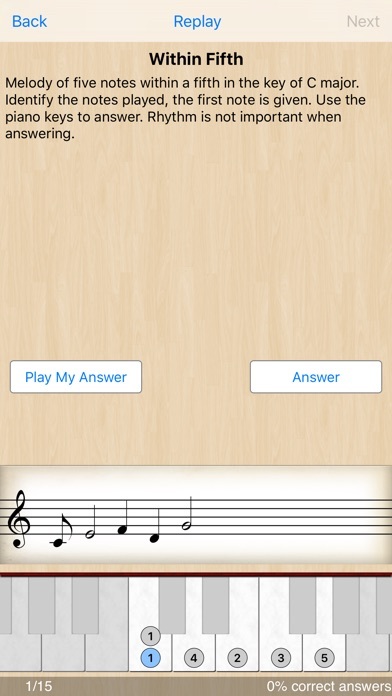 Try it and enjoy your music a bit more. It’s great as a supplement to classes. This app is amazing. First time I feel my ears are actually getting trained. There are loads of exercises at different difficulty levels so you can work your way up comfortably at your own pace. Plus custom exercises so you can train exactly what you want to practice. 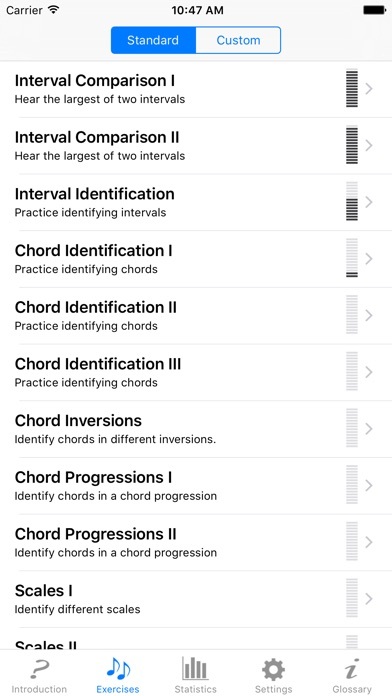 The included glossary and links are helpful for the beginner music student. 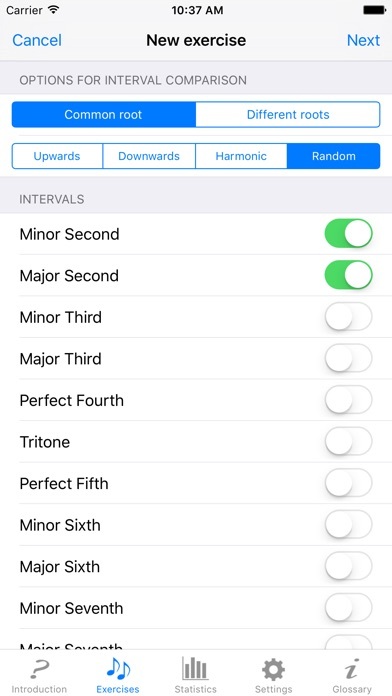 And the option to play along with your own instrument via the microphone is an awesome surprise feature. 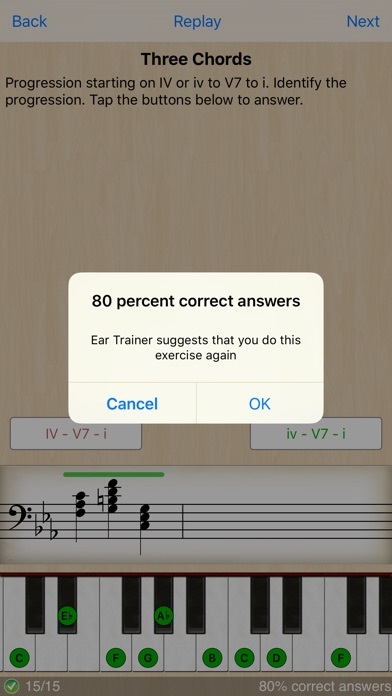 The app has a very simple interface, but it feels very polished and the details make me feel it was written by an experienced music teacher. A must buy!